The drain on resources spread across six towns often leaves projects and volunteers drained of energy. This past fall I left one meeting in Edgartown early to get to another in West Tisbury. Not an unusual occurrence for business on the Island, and a matter of course for those who work for the towns in a regional capacity, such as I do with the Housing Authority. Most every night, six towns’ worth of volunteer committee work is taking place, and I often turn away appreciation for my presence at one meeting or another by pointing out that I’m the only one paid to be present. On that particular fall evening, I left a community preservation committee hearing to attend the Rural Scholars presentation of their work on Vineyard homelessness, sponsored by Dukes County and the Health Council. The visiting medical students had interviewed dozens of individuals and pored over stats and documents in an effort to shed light on our particular version of the housing stresses, displacement, and desperation that many in our state and nation experience. This was an important companion piece to both an Island-wide effort by clergy and parishioners to establish emergency shelter options and one by the county manager and our state representatives to earmark funding for caseworker support around those same needs. As I write, both successful initiatives are days away from beginning actual existence as needed Island supports. Attendance at the Rural Scholars presentation was quite good, but what struck me was who was not there and why. Many of the committee members and others who might have participated were otherwise focused on the various town efforts that draw the attention of those six sets of volunteer committees and boards. And while the Island is very lucky to attract individuals from varied and accomplished backgrounds who give generously of their time, experience, and expertise, our system also diffuses that energy and often dilutes application of those talents. That brain drain is particularly costly when the issue is housing, which transcends town boundaries and requires coordinated Island-wide use of limited resources such as land, funding, and the many volunteer hours of planning, permitting, and management review. Attention was recently focused on a large-scale Nantucket housing effort (Dec. 2, “Nantucket voters approve groundbreaking zoning bylaws”) which benefited in multiple ways for having taken place in their single town. From my dozen years of working on that island, I can imagine spirited but directed effort at every turn, from consensus building through land and developer choice, to zoning modification and funding. On Nantucket, an event such as the Rural Scholars presentation on homelessness would have been scheduled to avoid conflict with other meetings and to insure the participation of town representatives appointed and elected to work on such issues. A bit harder to achieve when the Vineyard’s 99 square miles contains six separate town governments, a county, a commission, and a sovereign nation. And yet there is an obvious Vineyard tradition of shared values, efforts and benefits extending from accomplishments in education, transportation, and health service access to current attention to the needs of Island elders, the health of our aquifers and coastal ponds, and the related management of nitrogen loading. Housing has a toehold on that list owing to all-Island support over the past decade for Housing Authority staff and rental assistance, as well as recent multi-town support for Island Housing Trust development of smaller, scattered-site affordable rentals. But the accomplishments of our three-person staff, the trust’s three-, four-, and six-unit developments, and town subsidy toward 12-month leases that barely exist on the Island, have been eclipsed by a functional need for housing that ignores demographic distinctions as well as town borders. 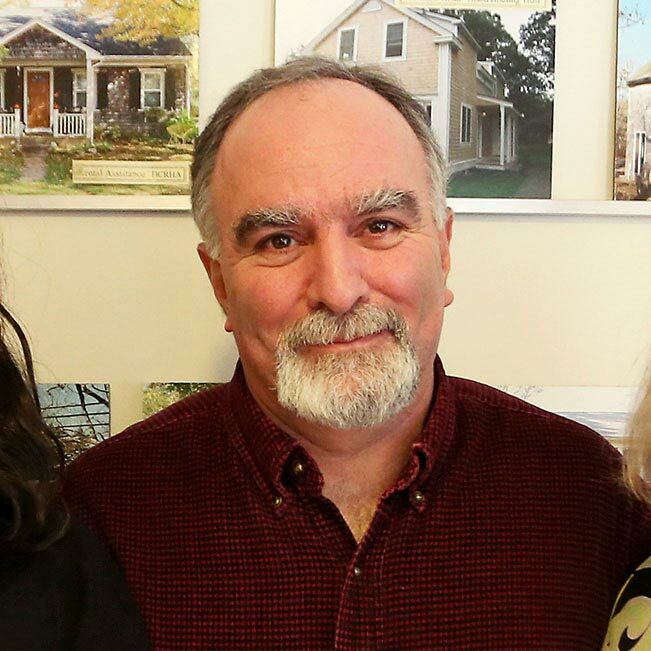 A series of meetings this past year of both the All-Island Planning Board and the All-Island Selectmen give hope that the structural need for year-round rentals in particular is recognized by Island leaders. An economy based largely on seasonal visitors and second home ownership does not need to contend with another July’s worth of help-wanted signs to get the message that a preponderance of nine-month leases for its workforce is not sustainable. Planning board members have broached the idea of larger mixed-income rental developments such as Edgartown’s Morgan Woods Apartments on appropriate-size and -sited parcels. Tribal housing and Island Elderly Housing are other important examples of needed rental density. Frank discussion of the need for towns to share the costs, as well as the benefits, of such housing has only just begun. There are many indicators that 2015 marked the rise of a “unified” recognition that the current housing issue that cuts a swath across all ages and most situations on the Island will have to be addressed in the same fashion. Here’s to a 2016 that sees us building on these steps toward needed consensus and “unified” effort to better house Islanders and preserve community on Martha’s Vineyard. David Vigneault moved to Martha’s Vineyard in 1987 to help establish employment and community programs for Islanders with disabilities. Work with community advocates on housing initiatives led to committee and board appointments and work as the Dukes County Regional Housing Authority’s Executive Director since 2005. He lives in West Tisbury with his wife Sarah Vail and teenage daughters Willa and Ava.